Well that was rather annoying wasn’t it? As I tweeted after the match sometimes the ball just won’t go in and there is nothing you can do about it. I don’t subscribe to the theory that West Ham deserve stick for the way they played. What should they do? Come to the Bridge and attack? If they do that we will rip them to shreds on the counter attack and they will be lambasted by the press for being too adventurous, it’s a lose-lose situation. Against the top teams away from home the smaller sides have to be defensive especially against the current top four who are in good form. At the likes of Manchester United and Tottenham teams will feel like they can have a go but it is a different matter at Stamford Bridge, the Etihad, the Emirates or Anfield this season. Any fan who thinks West Ham played the game the wrong way only needs to look at the way we played away at Manchester United or Arsenal this season. I also don’t believe that we needed Juan Mata last night. What more could the Spaniard have done? I wouldn’t have said that either Samuel Eto’o or Demba Ba’s movement was particularly excellent and that is largely why the likes of Eden Hazard and Frank Lampard were reduced to shooting from range. Also with West Ham playing 9-0-1 at times it wouldn’t have suited Mata because it would have been too hard for him to fashion chances. What the game did highlight was our need for a striker and there is a small part of me that thinks something could happen tomorrow. However given our history with deadline day strikers that probably wouldn’t be a great idea and consequently it would surprise me. 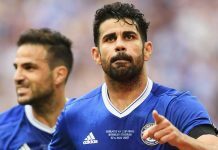 The three names that seem to be the most talked about with regards to a summer move are Wayne Rooney, Edinson Cavani and Diego Costa. The problem is that each has a flaw in the potential move. Rooney now looks like he may sign a new deal with United and he would command a hefty wage. Cavani will cost a ridiculously high figure because PSG have no financial issues whilst Costa could end up costing us Courtois, not a swap that I feel is worth it. Some business that could be done in this window in the finalisation of Kurt Zouma’s move from Saint-Etienne. Having watched a lot of French football I can say that it is a deal well worth completing. The boy is outrageously talented for such a young age and he is a more than able replacement for John Terry when the captain decides to hang up his boots. Luke Shaw has also been mooted but I imagine that if any deal for the Saints’ youngster is going to happen it will be in the summer. After the window closes on Friday the big test looms with a trip to the Etihad to face the form team in the division. City have ten out of ten at home and there are plenty who will argue that if we fail to stop them they could make it the whole season with a 100% record at home. It begins what is arguably the toughest month of our season and the one that could define it. December is often mooted as the key month in the season but February is going to the season breaker here. In the league we play City and West Brom away and Newcastle and Everton at home. No words need be said on City whilst West Brom could be a tricky prospect. Newcastle and Everton beat us at their places and both will be hard tests for us. As if that wasn’t enough we also face City away in the cup and we travel to Turkey for the first leg of our Champions League tie against Galatasaray. If we can come through that month unbeaten and with only a couple of draws then we can start to take silverware aspirations seriously. If the month doesn’t go to plan then we could find ourselves with the solitary target of finishing in the top four of the Premier League.